A spokesperson for Georgia's secretary of state’s office tells Axios human error is responsible for the outsize number of ballots cast in a northeastern county (670) compared to how many voters were registered beforehand (276), numbers which McClatchy’s Christine Condon reported this week. Why it matters: That's not Georgia’s only election problem. At least one of the state's county websites has been a target of Russian hacking attempts, according to a Mueller indictment. 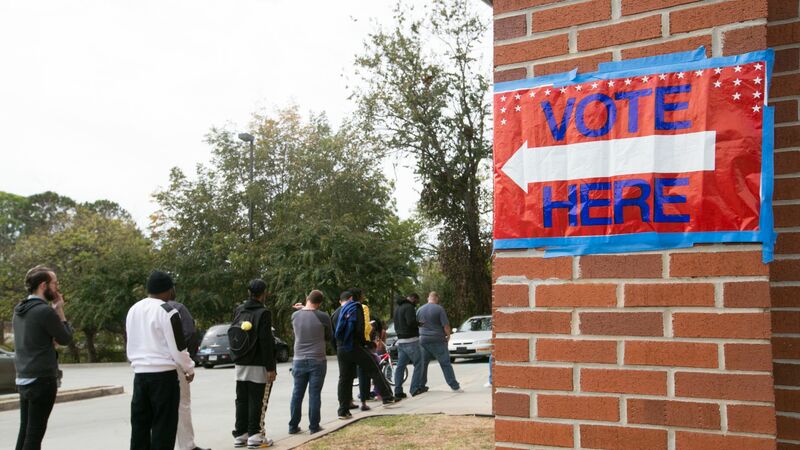 Cybersecurity experts have found vulnerabilities in an election server in the state, and court filings in a federal suit, brought by cybersecurity experts against the state, allege several issues with the state’s voting machines and voter registration. From the court filing, per McClatchy: Several voters went on the record to describe frozen voting machines that seemingly failed to record votes on Election Day, machines that received the incorrect Congressional District's ballot to vote on, and voters who showed up at the polling location they were directed to by the state, only to be told to vote elsewhere. It’s not clear these problems resulted from cybersecurity flaws or manipulation — they could have happened due to human error. What they're saying: "We haven’t had any evidence that the voting equipment has ever been compromised," the spokesperson, Candice Broce, told Axios. The big picture: Georgia’s voting systems are 16 years old, and the state can’t double check if its election results are accurate because it uses voting machines that don’t have a paper trail. It is one of 14 states in the U.S. that also have this problem. The money: It’s unclear how Georgia plans to spend the more than $10 million it is receiving from Congress’ omnibus for election security improvements, per the Atlanta Journal Constitution. Secretary of State Brian Kemp has a bipartisan commission examining whether the state should change its voting machines before 2020, per McClatchy. Other problems: A security researcher has repeatedly warned about a vulnerability in an election server in the state that would have allowed him to access and possibly alter the state's voter database. There were PDFs with instructions and passwords for election officials on how to sign into a central server on Election Day, which were posted on Kennesaw State University’s Center for Election Systems' website, the system responsible for running Georgia’s elections. Kemp was the only state election official to not take advantage of Department of Homeland Security resources to help bolster election security ahead of the 2016 elections, per Politico. Kemp has also claimed his state's voting systems were not at risk to 2016 election hacking because DHS told him the Russians didn't target Georgia. However, that doesn’t mean they weren’t at risk, and the Mueller indictment calls that into question.